Kenya’s tourism sector had been rising steadily over the past 10 years. 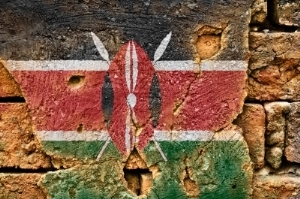 However, analysts are worried that Kenya’s tourism industry will take a hit after the Somali-armed group Al-Shabab overtook the upscale Nairobi mall, killing nearly 70 civilians and security personnel. To answer concerns travelers to Kenya may have, David Scowsill, the head of the World Travel and Tourism Council, said the country’s government and tourism operators need to reassured possible visitors about the safety of Kenya. He said without this reassurance people may feel Kenya isn’t safe to visit. Kenya’s economy is dependent on the billion-dollar tourism industry, providing one in 10 jobs and adds 12.5 percent to it. Scowsill said communication by the Kenyan government in private sector is essential… that the one event at the Nairobi shopping mall is now under control. He said most of the tourism is outside of the primary city, which means there is no real impact to the country’s tourism. Kenya is regarded as being the richest country in East Africa; but, over half of the population lives on just one dollar or less a day. Kenya is no stranger to dips in tourism. In 1998, the sector suffered tremendously when a car bomb attack left more than 200 people dead in Nairobi, and again in 2008, when ethnic violence took place after the presidential elections. Scowsill suspects the industry will experience a slight setback in growth after the attack last week. However, he said, he doesn’t think it’s a permanent effect. Scowsill said it’s not uncommon to see a drop in the first three months after an incident; but, that in six months, the tourism industry will pick up steam once again… provided there are no other incidents. Posted by News on Sep 25 2013. Filed under Featured, New, Travel. You can follow any responses to this entry through the RSS 2.0. Both comments and pings are currently closed.